After describing the demise of Los Angeles’s Palm Trees, Warren Techentin’s Tree Huggers Chapter of Varnelis’ Infrastructural City concludes with a loose discussion on the potential future of urban forestry as ‘foundational infrastructure’. What is most striking about constructed and spontaneous urban forests is the inseparable and dominating factor of time in relation to space and performance. Any forest requires duration to develop into a productive state. Conversely, vegetation can persist longer than desired, or as often occurs in the torturous conditions of street trees, does not last long enough. 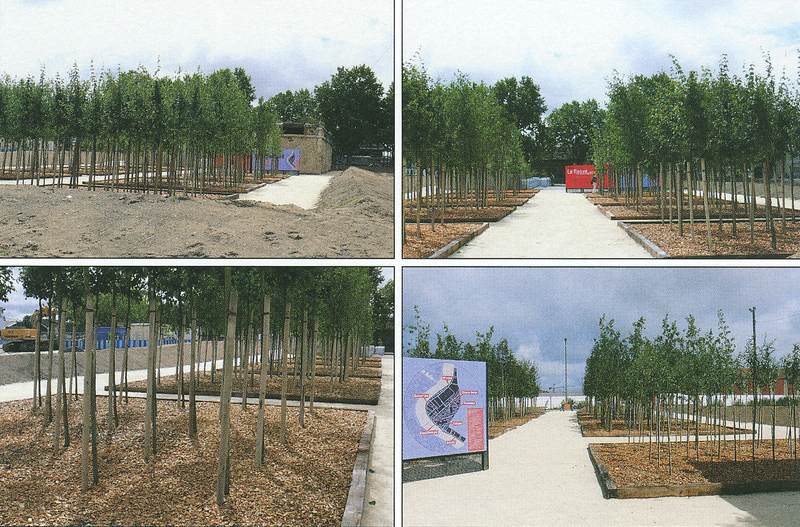 In related comments from an earlier post on accelerated landscapes, urban projects by French and Dutch designers were mentioned that exemplify urban forestry as foundational infrastructure, which we would like to connect to this discussion. 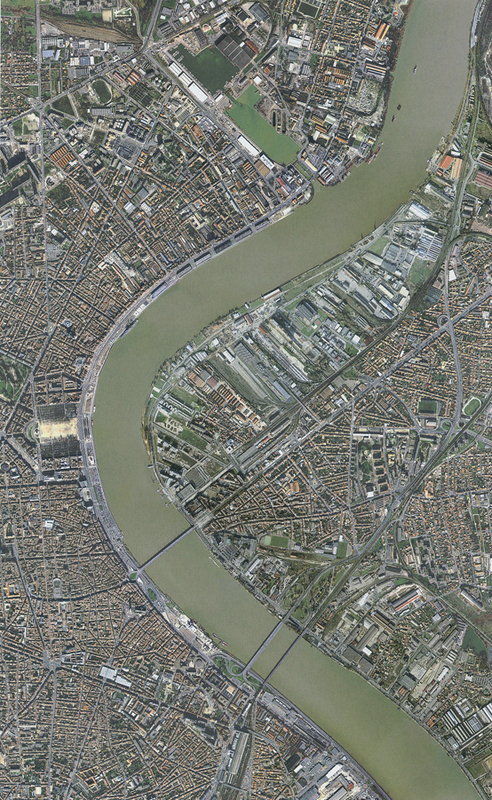 As Bordeaux’s post industrial waterfront slowly shifts to forested greenspace, it engenders urban development that will build on its foundation, which in turn was dictated by the distribution of derelect terrain that preceded it. 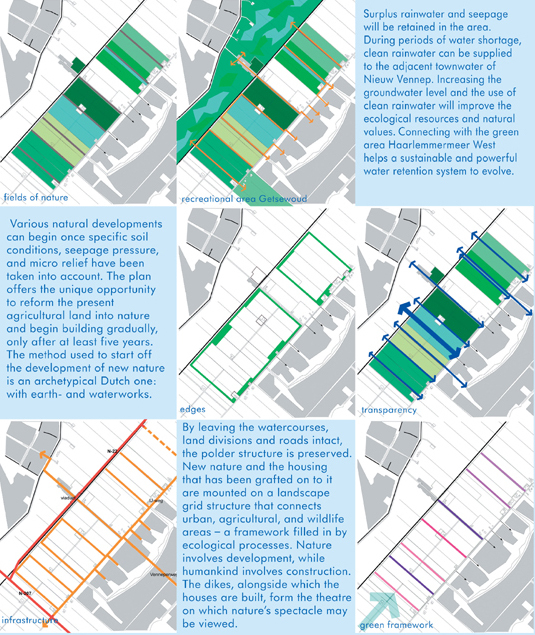 Development will build adjacent to the gridded park, or slice into and reprogram it as needed. 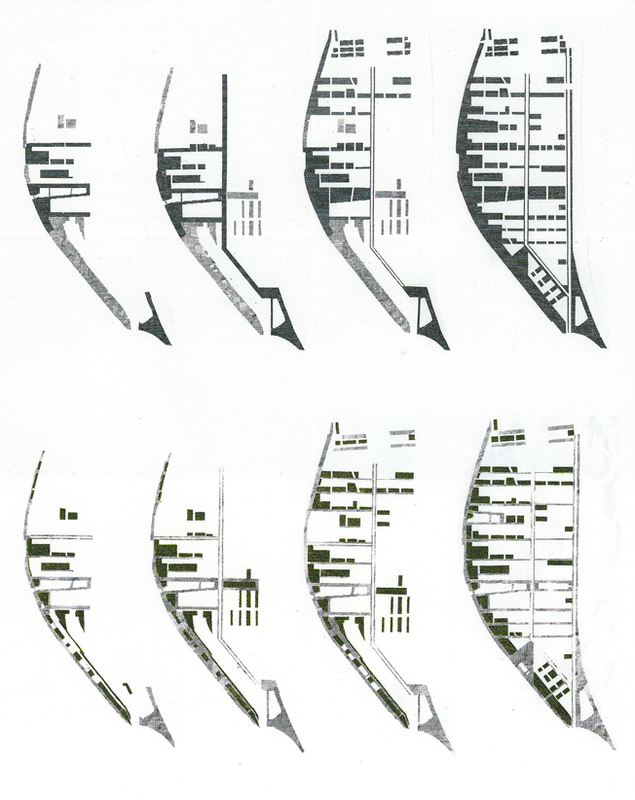 There’s a unique practicality and drifting urban continuity to the scheme. Rather than being abrupt, its gradual emergence out of a terrain vague condition via a process closely resembling commercial forestry is remarkable. 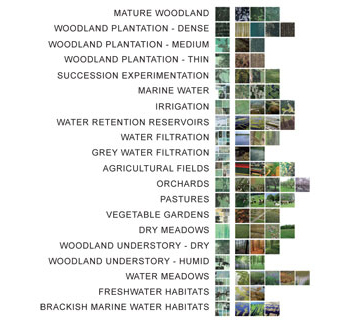 It’s interesting to look at this work as a more developed take on the winning proposal for Downsview Park, which was also an example of re-urbanization led by simple process of growing trees. 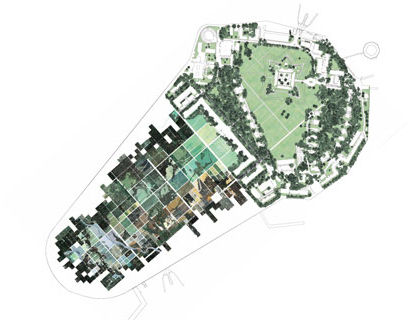 However, as much as Tree City was conceptually seductive, it was, in my opinion, a bit of a graphic design coup that lacked any site or design specificity for it would occur. 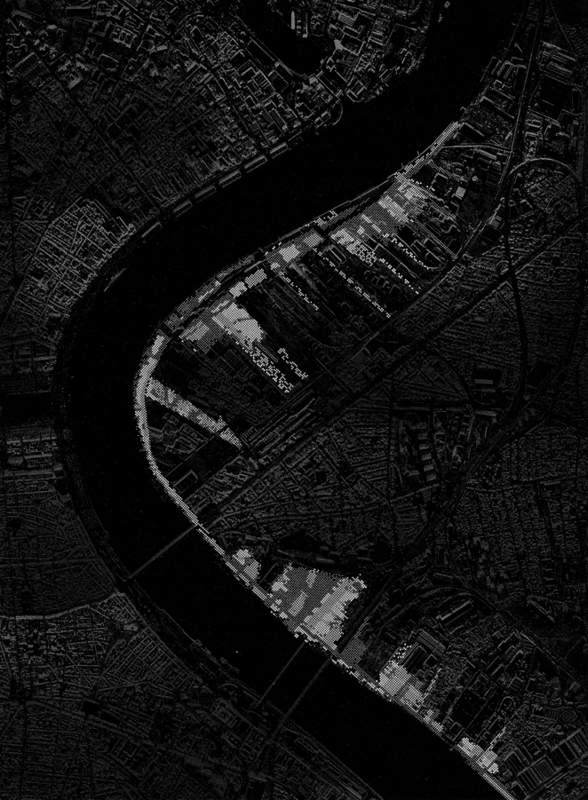 Desvigne (and Dalnoky for some) have tested this strategy on other large-scale urban waterfronts, such as the Lyon Confluence (image above), Greenwich Village, and most recently in Desvigne and Rex Architects’ “Living Matrix” proposal for the Governors Island Competition (below). 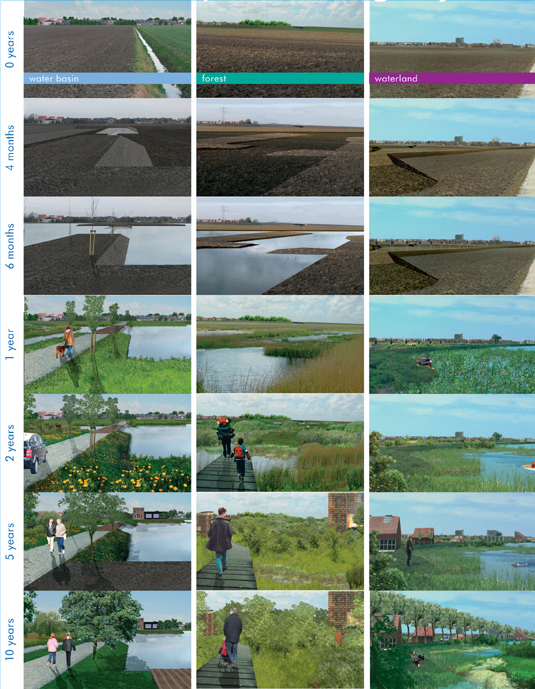 “Vista’s work involves discovering and using steering processes – ‘manipulable processes that can be used to form a landscape, which are the actual things that make a landscape changeable’ “(quoting Vista). Both of these projects are nearly a decade old. Part of my motivation in bringing them up is I’m most curious about how they have actually performed and how expectations have correlated or diverged with what has become. 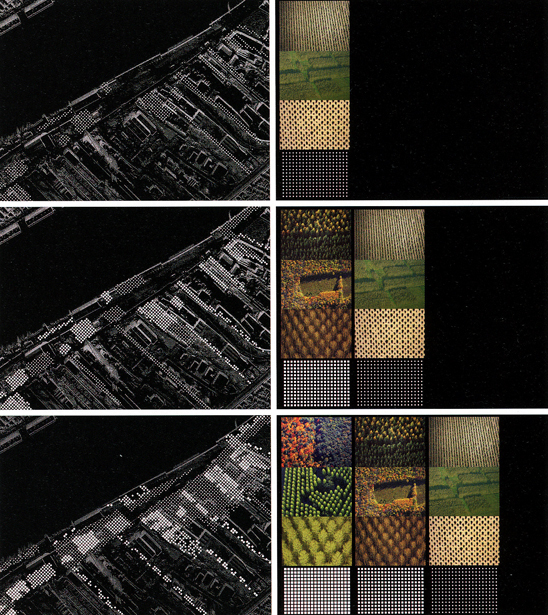 By proposing very different, yet practical transitory schemes, they question methods of urban process and formation. I have heard that the Bordeaux scheme was only partially realized, which itself is informative…why? No doubt there are many other examples of this kind of ‘foundational infrastructure’. I’m just particularly fond of these designs. It might be worthwhile to create a list of the some of the most pivotal or interesting that are currently out there, in process or historical. 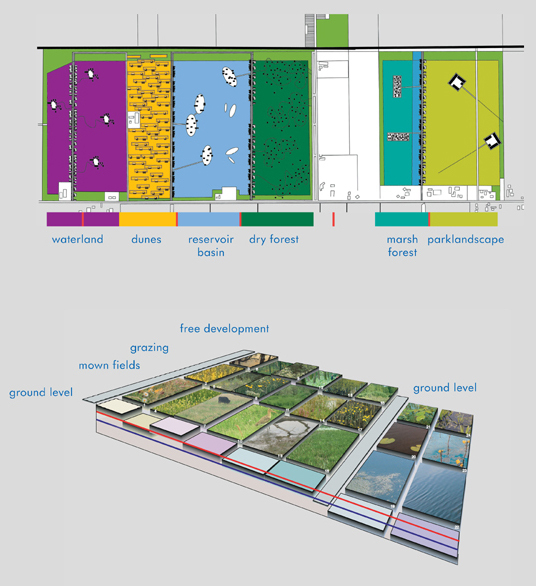 Fresh Kills would likely be in there as an interesting testing of limits in state-of-the-art urban terraforming. Updates, links or information on these projects and mention of other favorites are welcomed. (all of Desvigne and Dalnoky’s images are from Desvigne’s book ‘Intermediate Natures’).